When I am asked about latex mattresses often times people are curious on the feel and the process on how a latex mattress is manufactured. 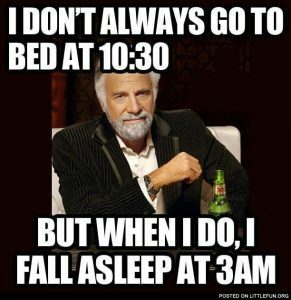 It is funny to think you can you sleep on the same thing that is worn on the hands of doctors? A latex mattress in an all-natural rubber that is tapped from the rubber tree and made from the milky liquid that comes from the tree. An all-natural latex mattress consists of pure latex without the use of synthetic chemicals and is the greenest type of mattress in the market. Latex can also be made from synthetic material from a chemical called Styrene Butadiene also known as SBR. Although they are different they are typically made using the same methods known as Dunlop and Talalay. The Dunlop process is a denser form of latex. This is an older method and has been used in the latex mattress industry since 1931. The Dunlop process is pretty difficult to make in a softer version of latex because during the manufacturing process, it takes time for the liquid to set into a solid latex mold. The Dunlop latex process is best used as a support or core layer of your mattress or for those who prefer a firmer mattress. The Talalay latex process is more complex than the Dunlop process. It is first whipped into a foamy liquid and then poured into the mold. Once it is poured it gets vacuumed sealed so that the latex gets distributed evenly. After it has been vacuumed it is then chilled to -20 degrees. Freezing it prevents gravity from the particles to settle at the bottom giving you that more consistent and “airy” feel. This process is best used as the comfort layer since the desired softness or firmness is rather simple to produce as opposed to the Dunlop process. 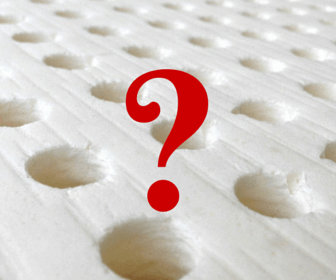 Although a lot more goes into the Talalay process, it does not mean a Dunlop latex mattress is inferior. It all depends on the individual’s preference and what they are looking for in a mattress. The two differences you will notice are the difference in feel and also the difference in price. Talalay tends to be pricier because it is a more complex process. When looking for a latex mattress, be sure you know what it is you are looking at. If the sticker on the mattress says “100% latex” then you are more likely than not looking at a blended latex mattress rather than a 100% all natural latex mattress.